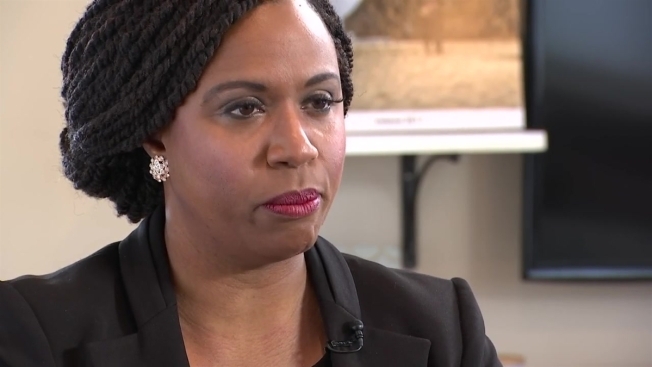 Massachusetts Congresswoman Ayanna Pressley injured her knee Monday after she tripped on the stairs of her home. Pressley's communications director, Lina Francis, said she was treated and is "grateful" to the doctors and nurses who cared for the Democrat. As a result of her injuries, Pressley has cancelled her previously scheduled events on Tuesday and Wednesday. The extent of Pressley's injuries was unclear. A day prior to her fall, Pressley was among numerous state leaders at the St. Patrick's Day Breakfast in Boston.